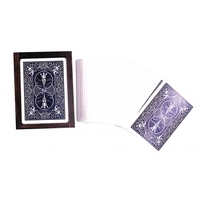 A small walnut box containing a deck of cards is displayed. The deck is removed and shuffled. A spectator is asked to select a card from among the 52, memorize it and return it to the deck, which the spectator shuffles. 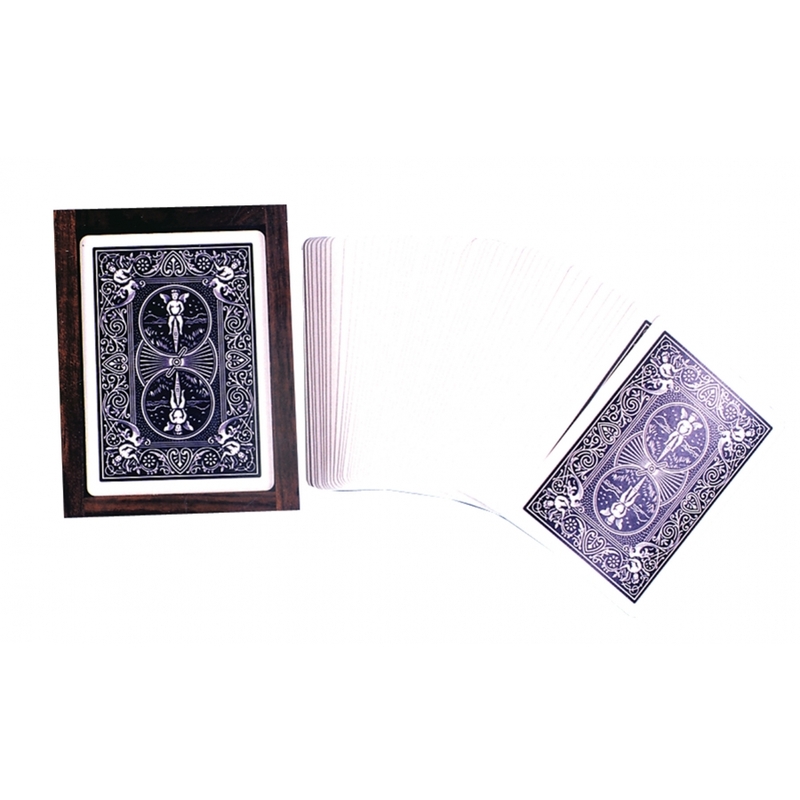 Card box and deck are now covered with an 18 in silk hanky. Spectator is asked to uncover the box and finds the entire deck has vanished. Amazing.